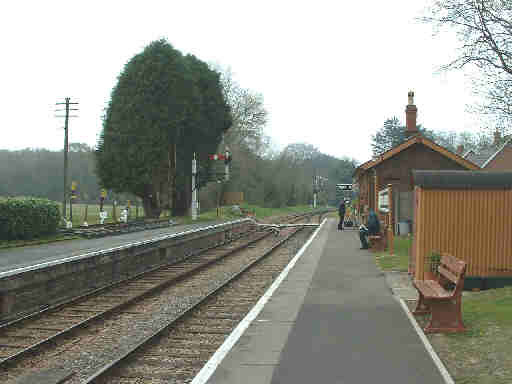 Crowcombe Heathfield, to give it its full name, is the highest point on the line and has one of the three loops for trains to cross. It is immaculately kept and surrounded by trees, a real country station. 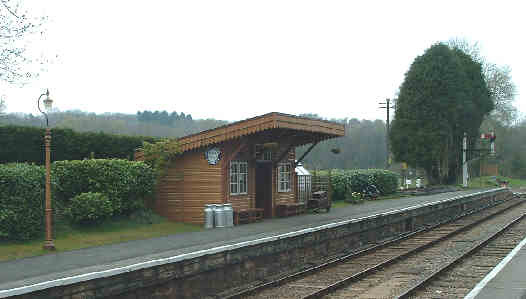 The shelter on the down platform. 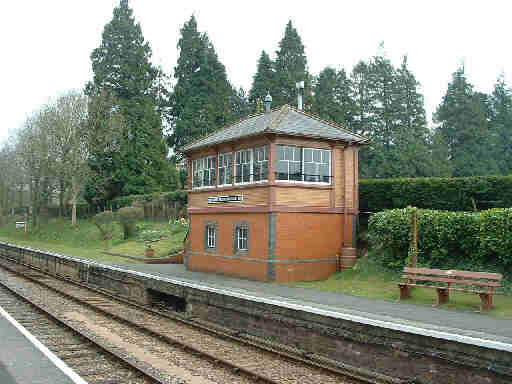 The rebuilt signal box on the down platform. 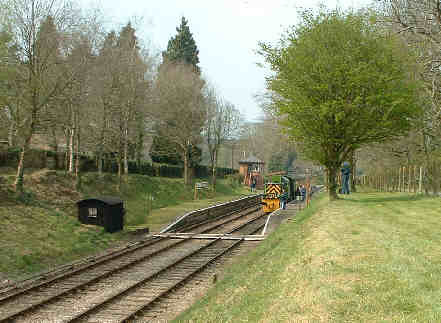 The north end of the station with its display of track work, including some broad gauge line, and the unusual signal.